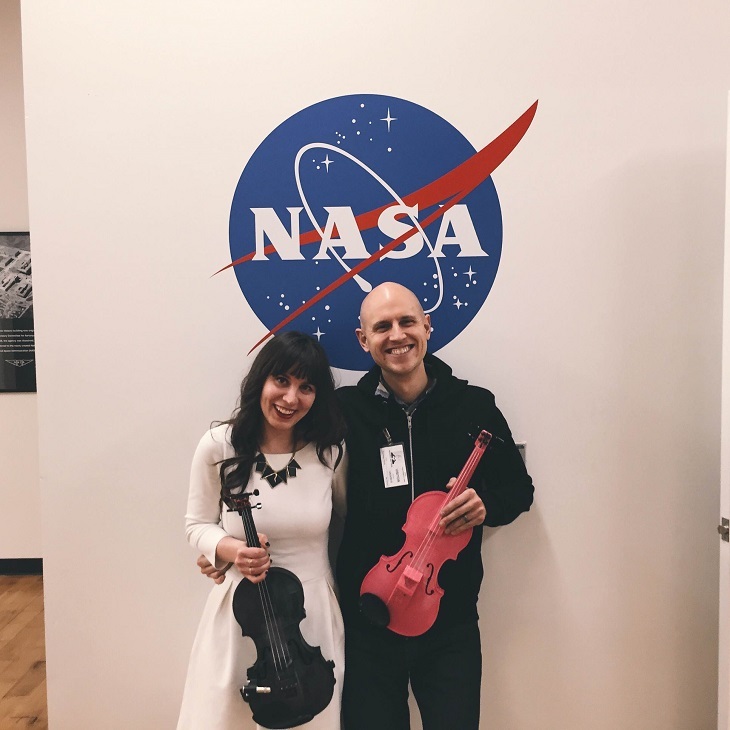 Following the recent post about a husband and wife team that contributed their work on the list of 3D printed musical instruments, the duo has now shared the source of the material. 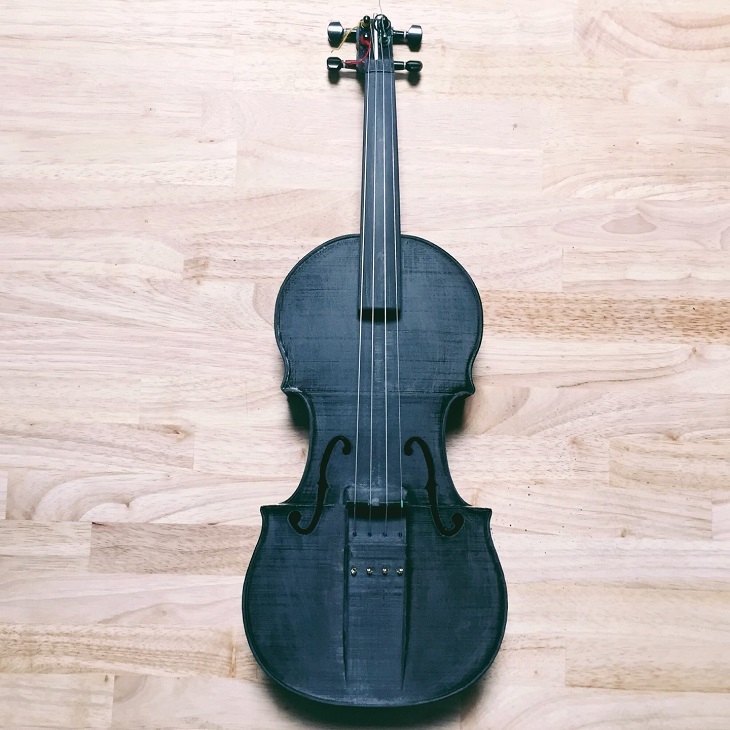 There are numerous great companies that prints violins namely, 3dvarius and Unique 3D and when it comes to comparison the products are all outstanding. However in line with this, all of the products are not open source. Matt and Kaitlyn Hova has now shared the required data for avid fans out there to print their work. The Hovalin can be printed using the Wood PLA and it keeps getting better for the instrument enthusiasts. There are now numerous fans that took the Hovalin opportunity and printed violins such as a user from Reddit named Emulsifide. In addition to the work, Robo3D’s version of Wood PLa even added upgrades to the Hovalin through the Wood PLA filament. Sabreur, a user on Reddit, added that the filament is still a normal filament but just with an added substance that gives the material a wooden texture. Giving the final material proper sanding and wood stains, it can boost the wooden texture. Emulsifide also said that adding a Minwax Wood Finish would even make it more authentic and to play around in the printing process and experiment would probably lead to better results. In the light of the release of the source, more and more ideas are spurting out from different people because of the open source Hovalin being a work in progress. Matt Hova even lets Emulsifide in a little spoiler about how he is planning on the Hovalin V2.1. He added in the news that the main part of the upgrade would be the lock-in midsection area of the violin. This will prevent materials from twisting with each other during the process. In addition to the ideas, a user on Reddit with the username mr_lightman even suggested Matt if the next version can have thinner walls to improve the acoustics and with this Matt replied that he does not oppose to having thinner walls on the new version. Matt even replied about having it hollowed out on the outer rails for the V2.1. 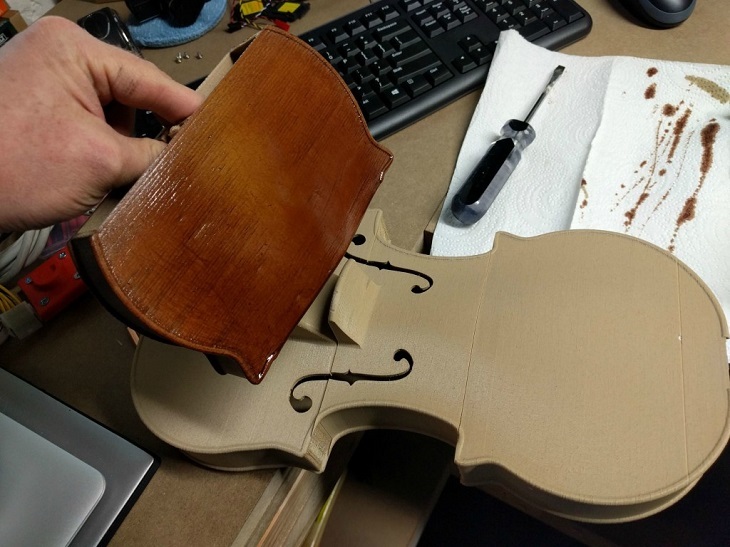 Moreover, there is so much going on about how people contribute to such upgrade and even mr_lightman has high hopes that in this process, a Stradivarius version can be achieved and he even upgraded his own 3D printer to accommodate the higher requirements in printing the Hovalin. 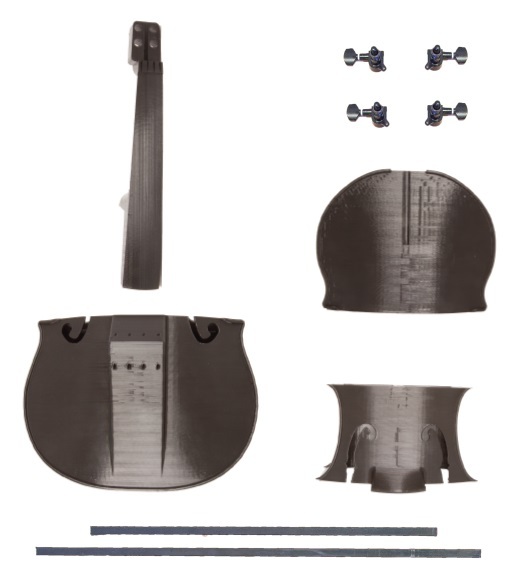 mr_lightman even added that with this source, there will come a day that people can print the replica of a $4 million dollar violin and the only thing needed is to upgrade the filament used in the process. However, a certain “klockwerk” shared his thoughts about the post and said that creating the replica even with an old growth wood will not do and getting the hopes up would be a waste of time as of now.